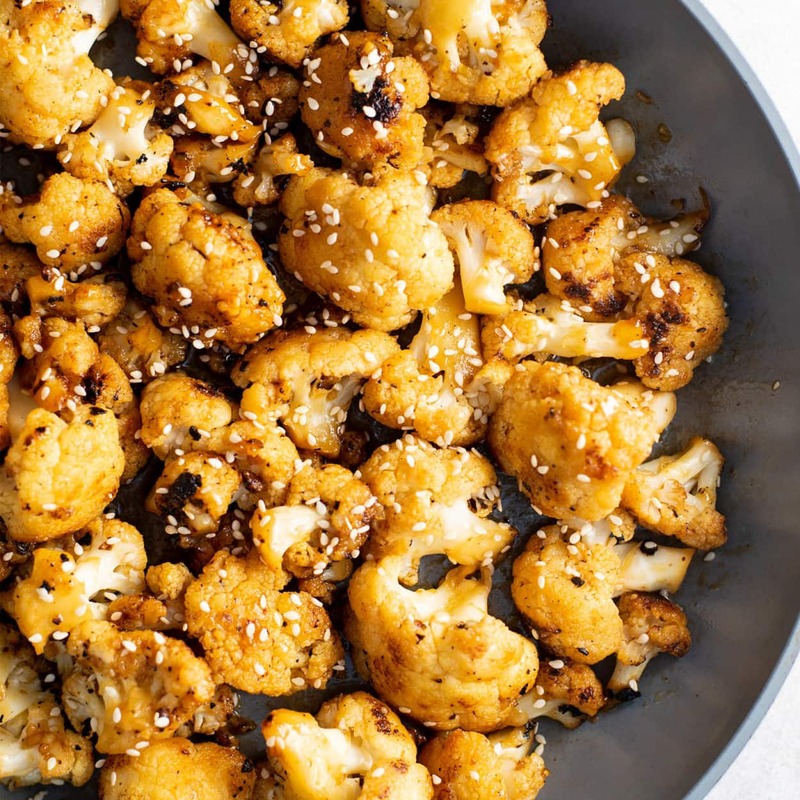 Sweet and spicy sesame cauliflower is another delicious, healthy-ish weeknight veggie the whole family will say YES to. I’m probably the last person to hop on the cauliflower bandwagon. I get the craze but at the same time I don’t—cauliflower essentially becomes the flavor of whatever you put on it, but it’s otherwise flavorless. Well I’ve had a slight change of heart. I recently had a really good buffalo cauliflower app. It tasted like bits of buffalo chicken covered in buffalo sauce. 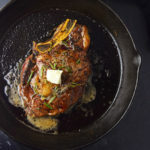 Well, that sort of got me thinking about experimenting with other sauces I typically use on chicken. 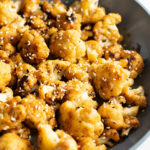 Sweet and spicy sesame cauliflower is essentially the same recipe as my sweet and spicy chicken. 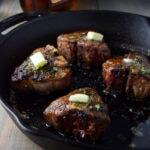 A sticky sauce made from honey, lime juice, sriracha, fresh ginger, and sesame oil. 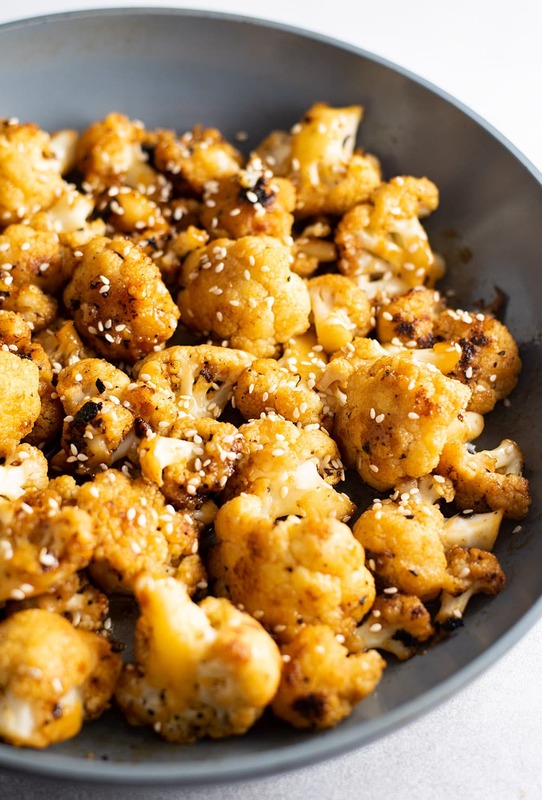 It’s the perfect blend of flavors and soaks right into the cauliflower, making a REALLY flavorful veggie that will make you reminisce of your favorite takeout Chinese food. My favorite part? It’s a nice change of pace from our ever rotating three B’s of veggies—broccolini, broccoli, and brussel sprouts. Rinse cauliflower and separate into small florets. 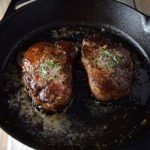 Heat olive oil in large non-stick pan on medium heat. Add cauliflower and season with salt and pepper. 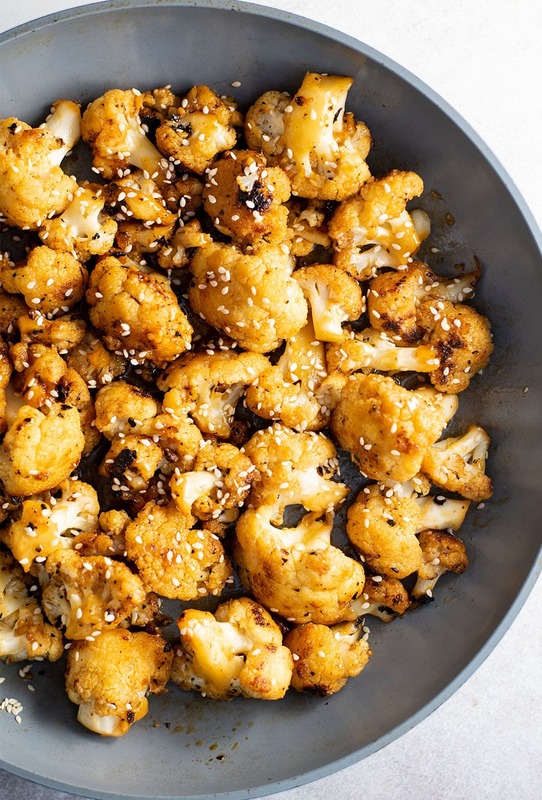 Cook for 10 minutes until cauliflower starts to brown and softens. Add sweet and spicy sauce and let simmer until thickened, about 2 minutes. 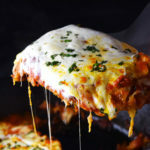 Toss the cauliflower in the sauce and let simmer for 2-3 additional minutes until tender and fully coated in the sauce. 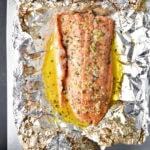 Sprinkle with sesame seeds and serve.